Do you need a lightweight poll with back-end admin panel and auto-installation script? This is exactly what are you looking for! 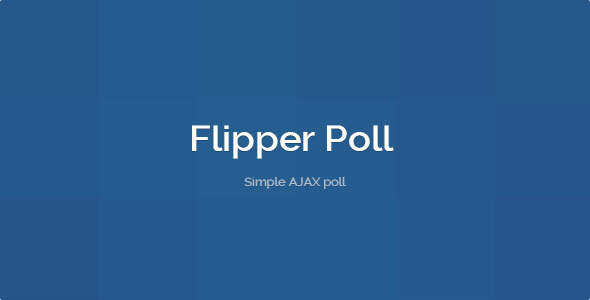 Flipper Poll â€“ itâ€™s simple and lightweight poll that easy can be installed via integrated installation script and has back-end administrator panel. You can use it with five different styles and add an unlimited number of options.